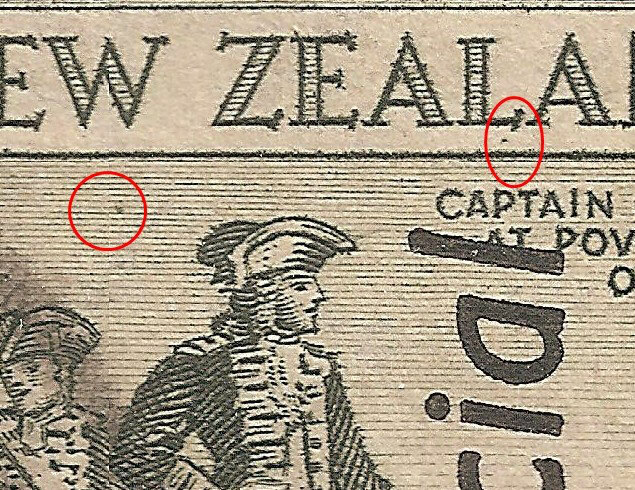 Plate 1, Row 10 - New Zealand Stamps, A 1935 Pictorial overview. 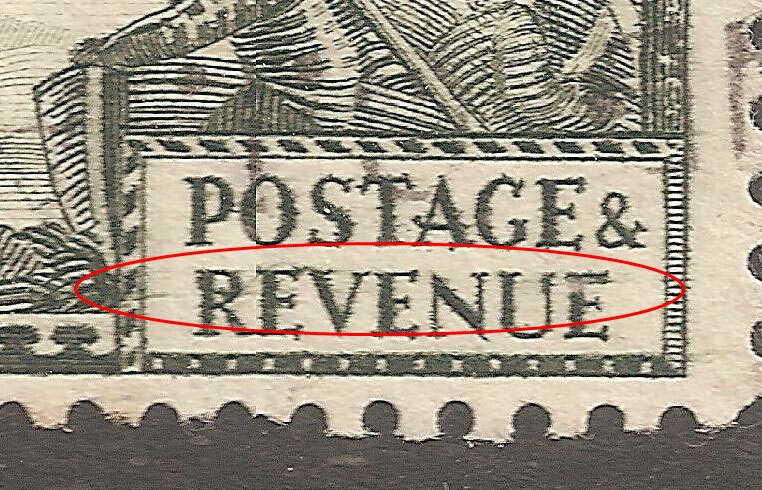 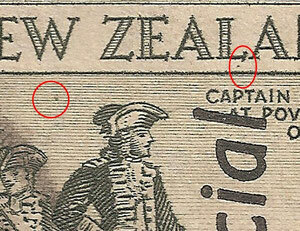 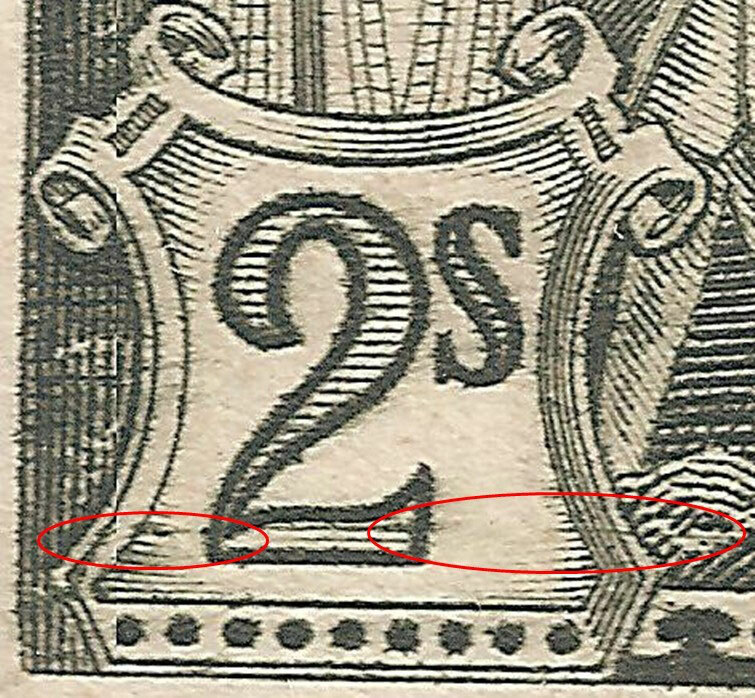 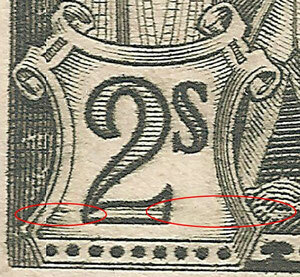 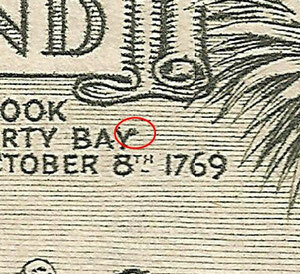 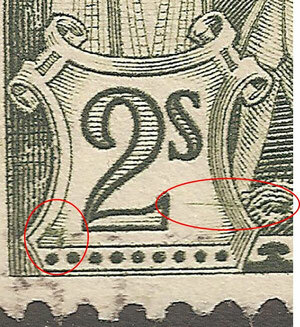 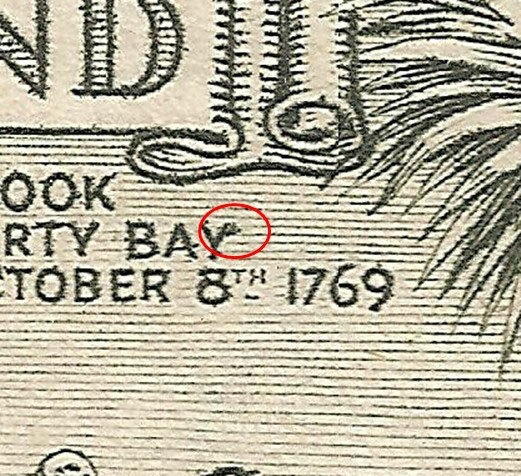 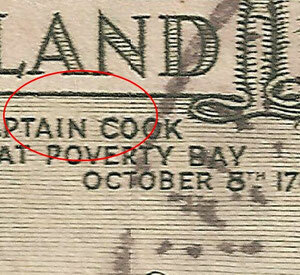 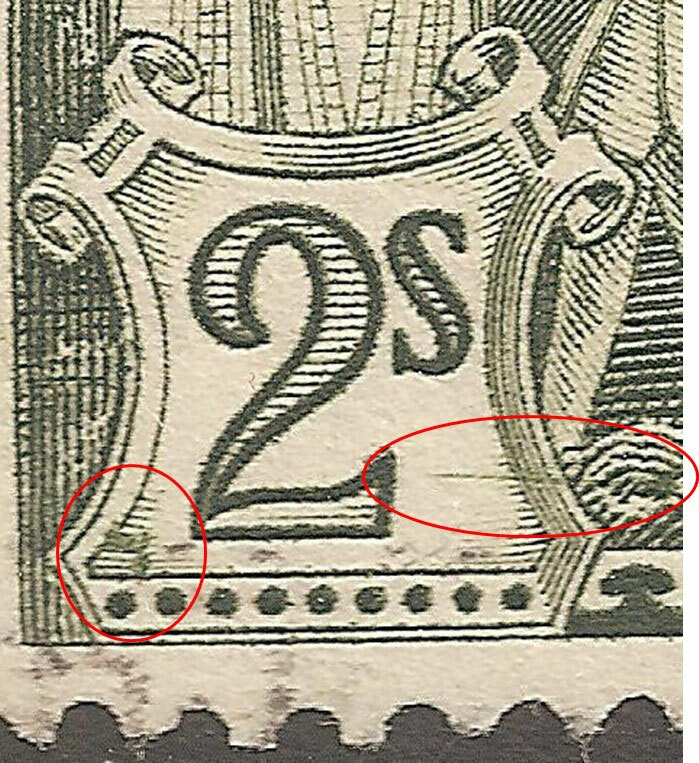 R 10/8 Dot below W and L.
R 10/10 In early printings a diagonal line runs through New Zealand down to the word Cook. 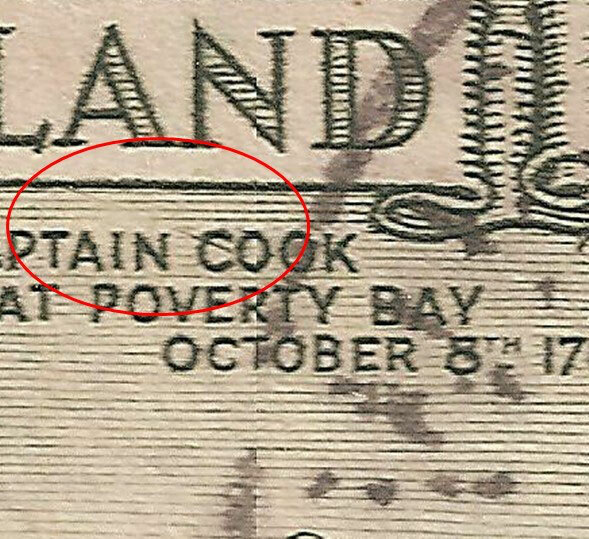 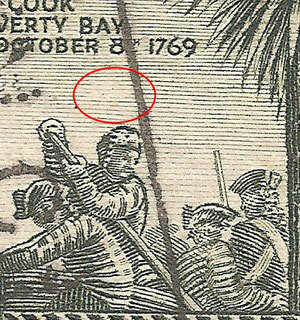 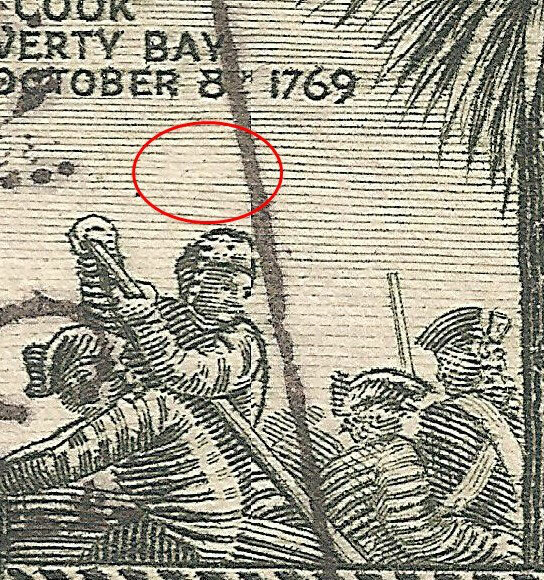 R 10/10 A dot above the head of the sailor, this image shows the blank patch after it was removed. 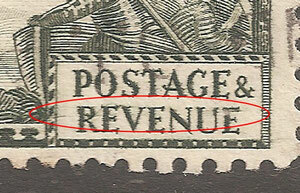 R 10/10 Plate continues to Revenue.